The Euros are drawing to an end; one semi final is out the way with the Germans set to take on the Italians tonight for a spot in the final. I missed the game yesterday but was able to catch the penalty shoot out which was a blessing in disguise. No matter how entertaining a 0-0 draw can be, it’s still a 0-0. The shoot out itself was an event filled spectacle which included saves, misses, sublime chips and player mix ups. Cesc scored the deciding penalty though with him no longer playing for us I don’t share his joy. I don’t want our former skipper to fail I just don’t feel a connection with him now that he is not longer part of us. Today’s game carries Arsenal interest in Lukasz Podolski and Per Mertesacker so they are the team I’m backing all the way. Mertesacker hasn’t played a part all tournament and probably won’t be involved unless there is an injury to the first choice pairing at the back for Germany. I fully expect Podolski to play a part today, it was like he and his other two partners in crime Gomez and Mueller were rested against the Greeks however for the big game they will all be back. Podolski is a man for the big stage and he will show us what he is all about in a high pressure game. I’m getting pretty excited about our forward line for next season, no offence to these guys but Chamakh and Park as our options up front was a bit of a joke. How we managed to finish last season 3rd with them as our cover laid testament to the important contribution from our skipper Robin Van Persie. Whatever his secret to fitness was last season, whether he stays or goes I hope he passes on those secrets to our new forwards and maybe to Diaby, Rosicky and Jack. 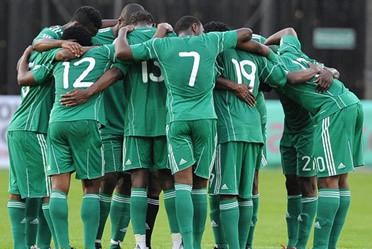 In other news it was announced that our game being played in Nigeria will be against the Nigerian national team. I’m quite pleased about that, the game will be more high profile against the super eagles and more of a stern test in our pre season preparations. Interest in this game will be high and it’s about time Arsenal recognised the massive fan base in Africa and Nigeria particular. Win win situation for both really and if the game is a success we could expect this to be a regular feature for pre season plans. It has been mooted that Terry Burton is in line to take up the vacant reserve manager position at Arsenal. A nice appointment if it comes to fruition.Burton has deep Arsenal links and would be a popular choice. Neil Banfield did a good job for the reserves if you measure it by the successful transition of young players integrating into the first team squad over the years. Reserve titles may be nice on your CV but one of the main purposes of the reserves is bridging that gap between youth and first team. Development is more important and I feel we do that well here, Arsene Wenger does take interest in the young players and his relationship with Banfield was invaluable in terms of identifying those players that had the potential to make it at Arsenal.Burton will be privileged to join and be part of the organisation. 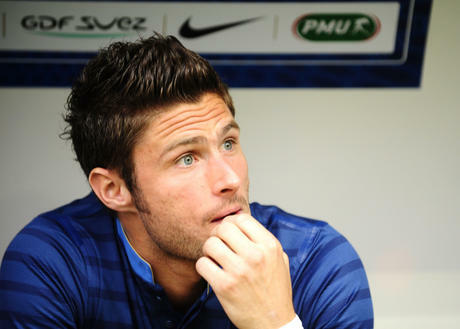 Other titbits you may already know Olivier Giroud revealed he chose Arsenal ahead of Chelsea. Jack Wilshere is on course to be fit and ready for Arsenal pre season and youth player Alban Bunjaku has joined Sevilla. That’s it from me, let’s get behind Podolski tonight. How many of you did not predict penalties in this tie? That was one outcome that everybody knew would happen. 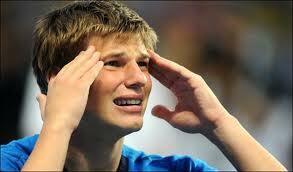 With no goals through 90 minutes and extra time England had finally succumb to the dreaded penalty shootout. It was definitely not a good night if your name was Ashley; both Young and Cole did not score their penalties which condemned England to taking the next flight home. The game itself was not a classic by any means, especially if you were supporting England. After a bright start from both teams where it seemed they were prepared to throw two fingers up at all those who predicted a defensive stalemate from the two countries. That lasted all of five minutes then the real picture loomed. As the game wore on Italy became stronger and stronger and missed quite a few chances you would expect them to gobble up. I believe the English post was struck twice over the course of the game and Balotelli had a game he would rather forget in terms of the chances he missed. England rode their luck a few times in the game as they became more and more tentative in their play. They dropped deep, kept their shape but at the times the broke on the counter they couldn’t string a number of passes together. The ball would break down and they would scurry back into position win the ball back and do the same over again. As I had stated yesterday a game featuring these two countries needed the addition of someone special to produce that one piece of magic. I wanted that someone to be Alex Oxlade-Chamberlain, England was calling out for his appearance. Rooney offered absolutely nothing on the night, nothing he tried came off and a lot of the promising attacks fell apart at his feet. Despite Jordan Henderson being trusted ahead on him last night young Alex will return to Arsenal with a lot of experience gained from his involvement in the tournament overall. Theo Walcott did come on in the second half replacing James Milner who again was in the team on merit for his defensive qualities yet offered nothing going forward. Theo did in fact have the Italians on the back foot when in possession however that wasn’t in possession often enough as the England team seemed to force all their play on the left hand side. I have no idea why this was the case as Ashley Young gave the ball away far too much on the left flank and should really have been subbed at some point. I suppose in the end England believed their best hope to be penalties and played for them. Roy didn’t take that gamble the England team needed, the nation knew not to expect much when Henderson was brought on for Scott Parker and the only gamble Roy was prepared to take with the penalty shoot-out didn’t pay off. Not much else to say on the matter, the journey for the England team has ended at the quarter final stage. We didn’t expect much going into the tournament but gained belief as England progressed; we had some positives from Theo and Alex’s participation and will benefit next season from their experience gained. Don’t know what to make of those quotes, can Chamakh really be happy with the way his career has been going at Arsenal or is he happy with the bumper wages he is on? I stand by the latter, we must not forget he signed on a free and his agent would have made the most of that situation with wage negotiations. These same wages Chamakh is on would price him out of any move back to his old club. France isn’t known for its high wages apart from the money currently being thrown about at PSG. 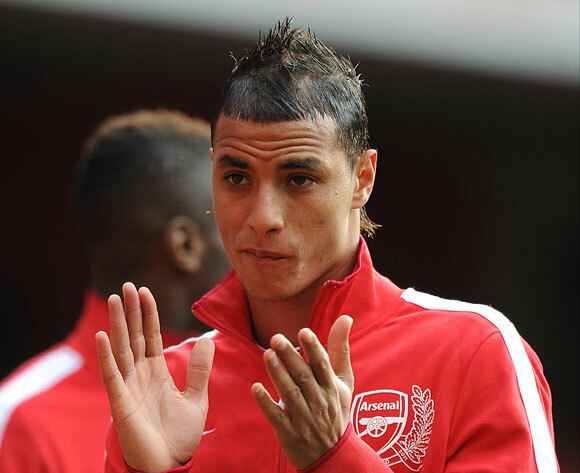 I still believe Chamakh will move on if and when we complete the signing of Giroud from Montpellier but for now he is taking a seat next to Denilson, Arshavin and Bendtner in that waiting room of uncertainty. Andrei Arshavin may have talked himself out of a move from Arsenal to Zenit Saint Petersburg after his comments that were leaked earlier this week. The Russian schemer reacted acrimoniously when questioned on the failure of Russia to beat Greece and advance to the quarter finals. Although his comments were caught without his knowledge on a mobile phone during a heated exchange with a fan it was the wrong words at the wrong time. Fresh from the defeat the fact that the captain of the team deflected blame from the players to the fans caused a major storm in his country. Could it be a case of too little too late? We will have to wait and see. Arshavin has really turned his public popularity in Russia onto its head, what started out as a promising tournament with a man of the match performance against the Czech Republic he is left fighting to restore his status in the public eye after the comments he most probably regrets saying. Upsetting officials who own Zenit is not a good omen. Another player who could also be returning to Arsenal indefinitely is Denilson. The midfielder has already spent the whole of last season on loan at Brazilian club Sao Paolo and although the club is keen to sign the him they are clearly in disagreement over the valuation of the player. A fair price in my opinion for a player at a prime age of 24, he clearly impressed on his loan since the club have shown intention to purchase the player. A bit more negotiating will need to be made before the clubs are in agreement on price. What we want to avoid is the mooted possibility of another year out on loan. If the player has no part in Arsene’s plans for next season then there is no need to send the player on loan. Cash in now and move on. As you have probably heard by now Arsene Wenger has given the biggest indication yet on the acquisition of Olivier Giroud from Montpellier. In an interview on French television Mr. Wenger was reported to have admitted that the deal for Giroud is 90% complete. I presume the final 10% will be concluded once France’s participation in Euro 2012 is over and the player himself can meet the relevant people negotiating the transfer. Exciting news all round, now if Arsene can give an update on Yann M’vila and Robin Van Persie then we will leave him alone to enjoy the rest of his summer. So England are through to the knockout stages at Euro 2012, they made hard work of it against the Ukraine who should feel hard done by for the goal that was not given. 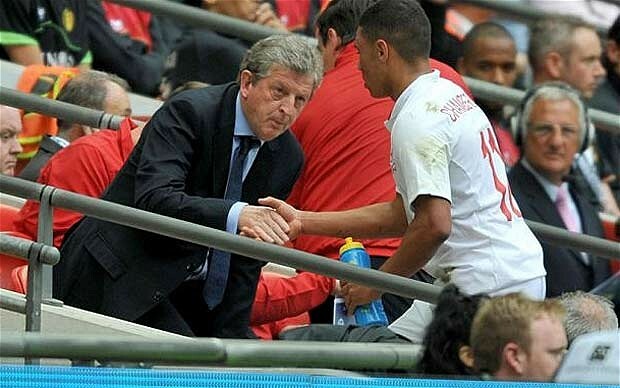 As predicted Roy Hodgson took the cautious approach and did not promote Theo Walcott to the starting eleven. Milner was chosen to provide more defensive cover against a determined home nation who went for a win. Rooney returned and scored the winning goal however his performance overall was rusty and ineffective. Theo did get on the pitch in the second half though he was starved of any service as the England players chose to ignore him as an outlet. Strange choice there as his pace could have been utilized to stretch the Ukrainians who kept pushing for a goal. The minutes though will hopefully keep Walcott fresh in readiness for the game against the Italians. Alex Oxlade-Chamberlain came on with a few minutes to go but didn’t really get a chance to have an effect on the game. He had one run but the ball trickled away from him at the point when he could have spread the ball to Theo. It’s still assuring that Roy Hodgson showed faith in the Arsenal man to come on in the closing stages of the match. A big boost to his confidence and there’s no reason why he wont be in Roy Hodgson’s plans for the Italy game. As I mentioned earlier England will be facing Italy after winning the group; the French lost their final game against Sweden 2-0 and will now face Spain by default. The group stages are now over and the real pressure starts, Arsenal still has a part to play in the competition, roll on the Quarter finals. The Olivier Giroud transfer to Arsenal seems to be gaining more momentum as the deputy president of Montpellier has confirmed negotiations between the two clubs over a transfer. This is the most definitive news yet concerning a deal with the tall striker and prices of around £13million are being quoted related to a clause in Giroud’s contract. Either way expect any deal to be concluded once France are no longer participating in the tournament. Giroud managed to get some minutes on the pitch in France’s disappointing defeat to Sweden as so did the heavily linked Yann M’Vila. The midfield terrier started the game however my focus was on the England game and so I cannot report on either player’s performance against the Swedes. Andrei Arshavin has caused a slight bit of controversy in his homeland after he was embroiled in an argument with some fans at the hotel the Russian team were staying at. Mobile phone footage captured the Russian captain responding to abuse from the fans in where he claimed his country’s failure to advance from their group was not the players fault but could be pointed towards the Russian fans and their expectations. Although the words were not said on an official platform it has been enough for members of the Russian football union to condemn his lack of remorse and question his status as captain of the team. Ideally this controversy will blow over as soon as possible especially if Arsenal harbours plans to sell Arshavin back to Zenit St Petersburg. Factors like this could affect negotiations over any transfer fee and Arshavin’s decision to move back to Russia if he falls foul of the Russian public.